IKC Capital (www.ikc.se) launched a new online brokerage service on the 1st of March named IKC Access where customers can aggregate their savings online. Using Bricknode Broker (www.bricknodebroker.com) IKC can offer investing directly with the fund companies and through the integrated services that exists in Bricknode Marketplace. For Bricknode (www.bricknode.com) this setup means that the monthly recurring income increases by 5% as of the 1st of March 2017 through higher license and transactional fees. IKC Capital (www.ikc.se) is a part of IKC Financial Group. 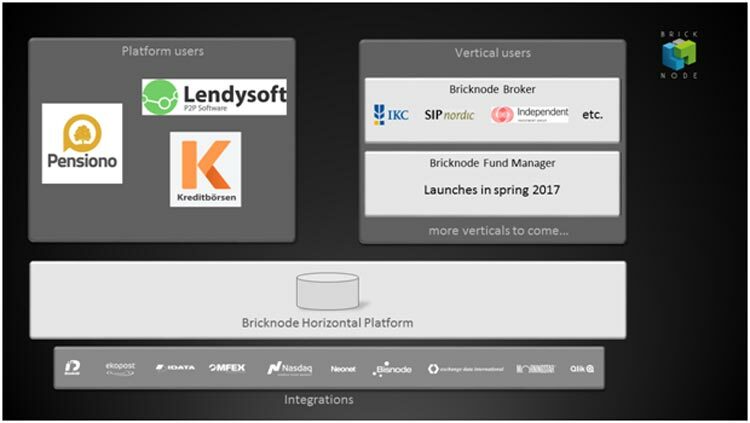 By using Bricknode Broker together with the integrated marketplace partners for automated fund investing, IKC has launched a new service named IKC Access. IKC Access is a service where investors can manage their investment account and investment savings account (ISK) online by logging on to the customer portal that is hosted by Bricknode Broker. IKC Access is an online broker and advisor who can offer new services to their customers through the cloud based platform offered by Bricknode. “The deal flow between IKC and investment funds, which occurs within Bricknode Broker, is a typical example of the relationships that Bricknode facilitates within its ecosystem. We have spent 7 years, $3.3 million of recurring revenues and $2.2 million of invested capital to build a dynamic, cloud based platform for the financial marketplace. Bricknode Broker is an application, what we call vertical, on our platform which is used by brokers and financial advisors that operate a brokerage firm. We have multiple verticals for investment fund administration and portfolio managers among others. Our other leg is the platform service where customers can use our platform like an operating system for finance. An example of this is the FinTech company Pensiono with the insurance company named Svenska Fribrevsbolaget, who use our platform to launch a new financial service within record time and with low cost. Pensiono is currently very interesting for investors with their active share offer through the crowd funding site Pepins. With Bricknode we want to deliver value for all our partners, from integrators like fund marketplaces to suppliers, business customers like IKC and Pensiono and all the way to the final consumer. The whole chain must be connected for our value creation to reach the consumer and after 7 years we can finally achieve this!” said Stefan Willebrand, CEO and Co-Founder of Bricknode.